One of our staff recently attended the National Catholic Education Convention in Cincinnati, Ohio. Dr. Kathie Amidei, Pastoral Associate, St. Anthony on the Lake Parish in Wisconsin, USA. Today’s young parents are busy and distracted. Why is it important that they play a part in the faith formation of their children. How can parishes encourage that connection? When Dr. Kathie Amidei led a session about the evangelisation of children through their families, she spoke from her perspective as a mother, grandmother and woman of faith. 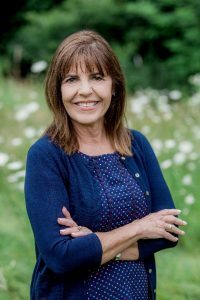 With a doctorate in Theology and experience as a Pastoral Associate at St. Anthony on the Lake Parish in Wisconsin, Dr. Kathie drew on Church, Research and Family perspectives to share her understanding of why faith formation through family connection is important and how her parish works to make it happen. – Catholic teens know little about the content and awareness of their faith compared to Christian teens. She cited a number of other studies and their findings, including a warning that parishes should not assume that people know how to pray with their children and the suggested that they are invited to do so with suggestions on how. Her own research looked at the constructs of Climate (the tenor of relationships – feelings), Practices (patterns of behaviour – rituals and service opportunities) and Culture (ethos of underlying identity, beliefs and values) and found that parents thought relying on faith in difficult times and adhering to moral beliefs were significantly important. Ultimately, parents have more religious influence then they think and if a parish invests in the family, they may never see the fruits but plant the seeds and God will make them grow. One suggestion to strengthen a parish community is simply,learn everyone’s name! 1) Non-Gathered: Communication, Home Activities, Text Messages, Newsletters, Catechist Notes – for this form of engagement she advised that material should be informational and inspirational. 2) Inter-generational Gatherings: Inviting Parents into Existing Models, Invite Your Parent to Class Day, Liturgical Seasonal Gatherings, Opening and Closing Gatherings – some of the examples she shared included the Night of the Rosary event where parents and children made rosaries, shared witness and had ice-cream. 3) Parent Gatherings: Parent Program, Parent Cafe, Parent Panels: the parent panels were highly successful; instead of hearing from experts parents were invited to speak about topics such as moral confusion, technology and bullying. This is a wide-ranging, parish led model in which parents are teachers and learners and builds fellowship throughout the parish. As a summary, she described strong parish families as shaping and forming the identity of the parish and strengthening relationships; resulting in a more vibrant parish. Below is a YouTube video with information about the St. Anthony on the Lake Family Program.